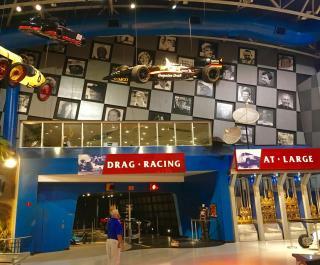 Daytona International Speedway tours include a visit to the Motorsports Hall of Fame of America and an opportunity to experience spectacular displays honoring all forms of motorsports: Stock Cars, Sports Cars, Open-Wheel, Motorcycles, Drag Racing, Land Speed Records, Powerboating and Aviation. 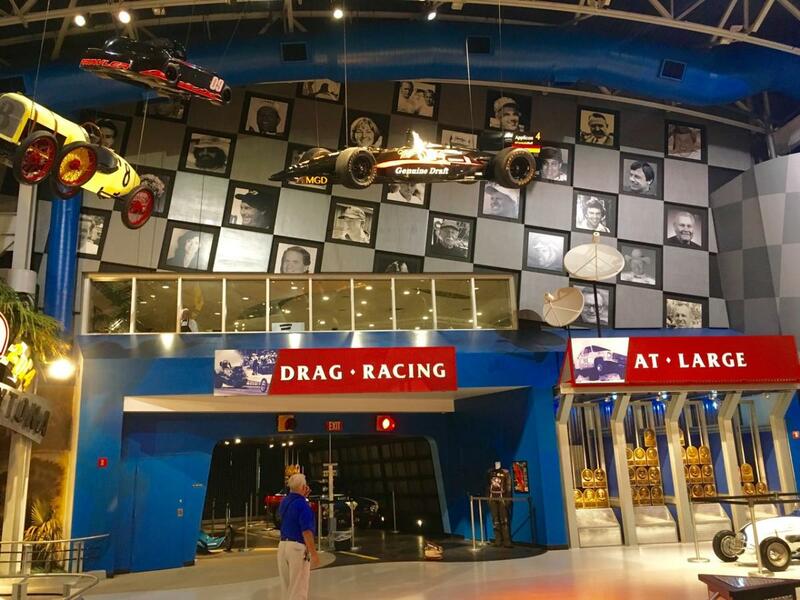 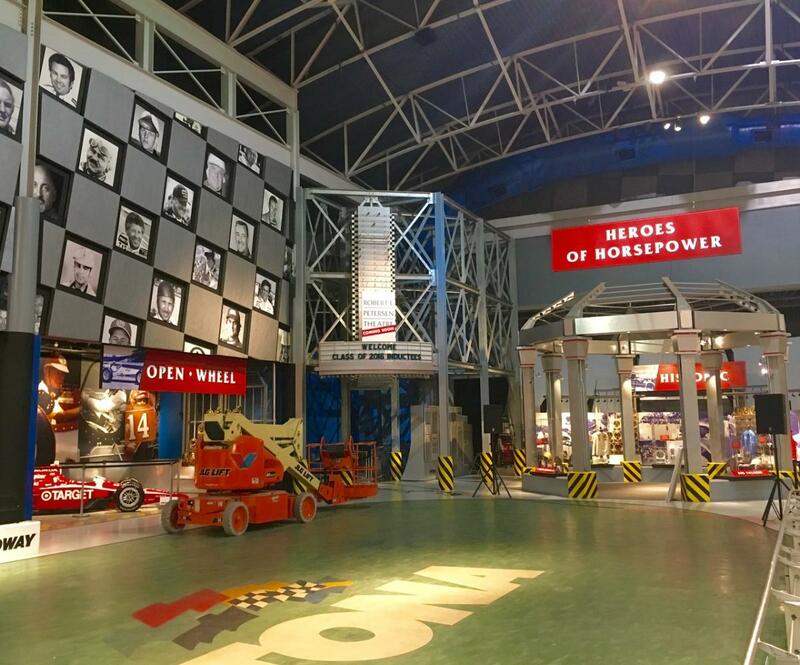 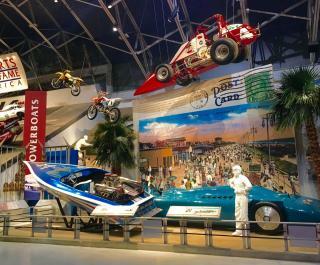 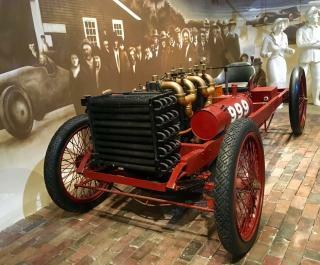 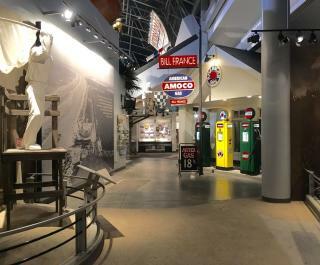 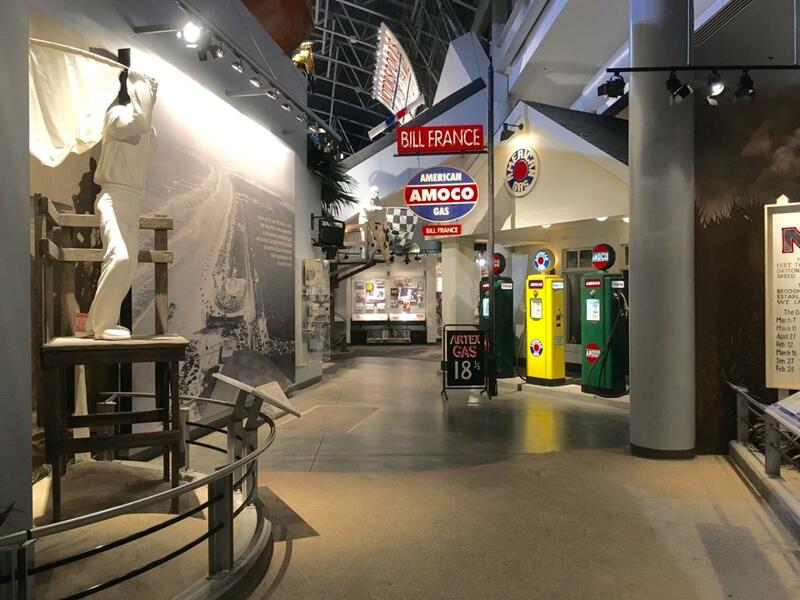 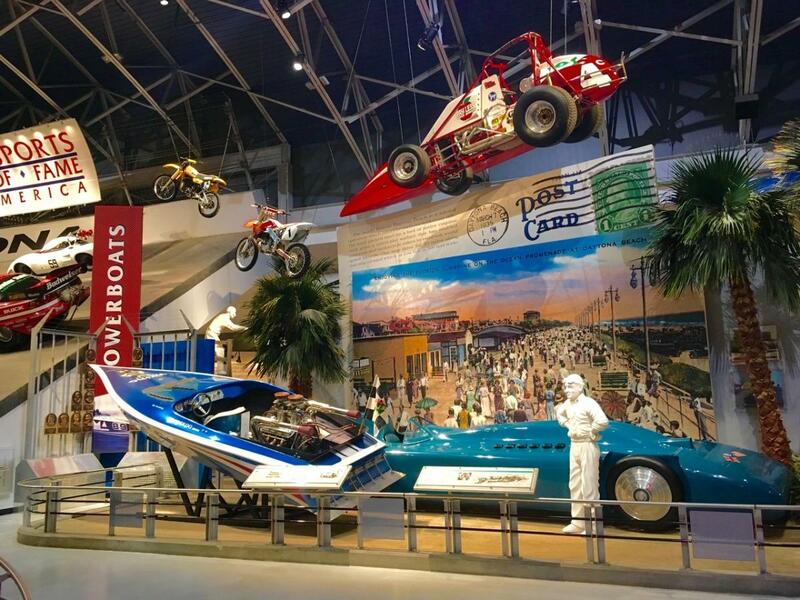 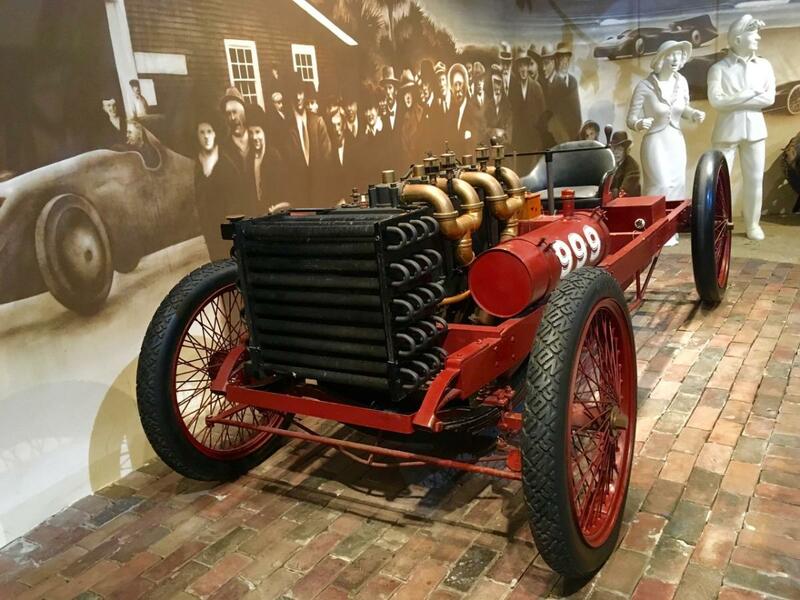 The 10,000 sf hall of fame, adorned with bronze plaques that feature the sculpted images of 230 inductees of the Hall of fame, also has a long list of exclusive sights even non-race fans can appreciate: Dale Earnhardt stock car, “Big Daddy” Don Garlits' Swamp Rat Dragster, Bobby Rahal Indy Car, Bill Seebold Powerboat, Blueberry Racing Airplane, Sox & Martin Pro Stock Barracuda, Barney Oldfield "999" replica, Bill Elliott Stock Car, Jeremy McGrath SuperCross Motorcycle, Sir Malcolm Campbell's Bluebird Land Speed Record Car and the winning Daytona 500 car. 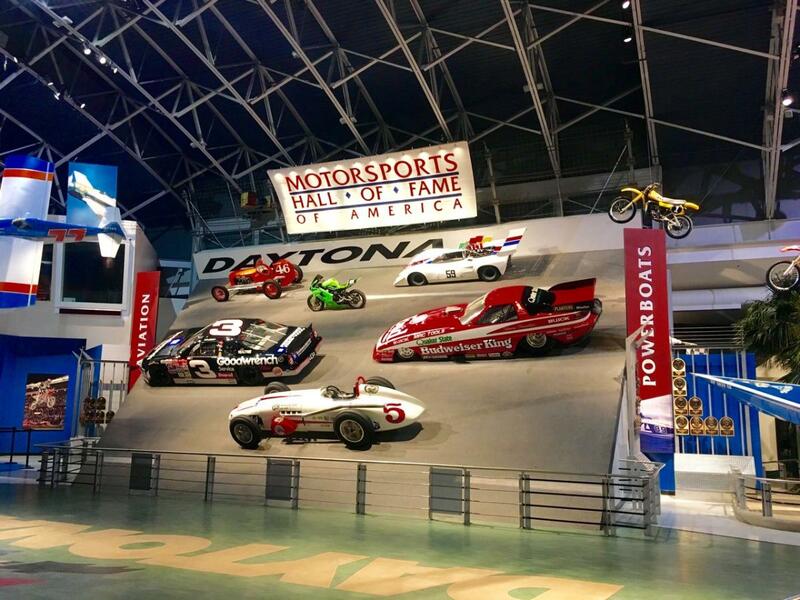 Classic machines from those competitive arenas highlight the hall. 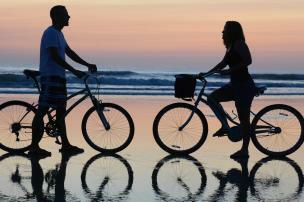 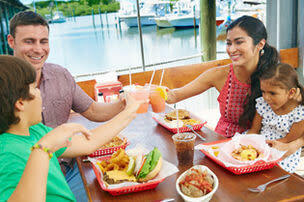 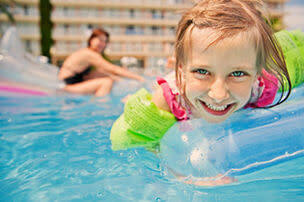 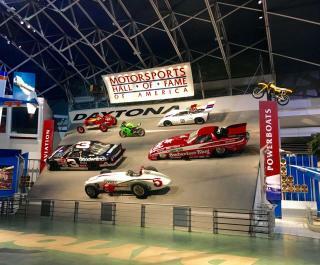 Admission to the hall of fame is included in the Daytona International Speedway tour ticket price.